apple is one of the most powerful and trend-setting companies in the world, and their planned new headquarters certainly show it. 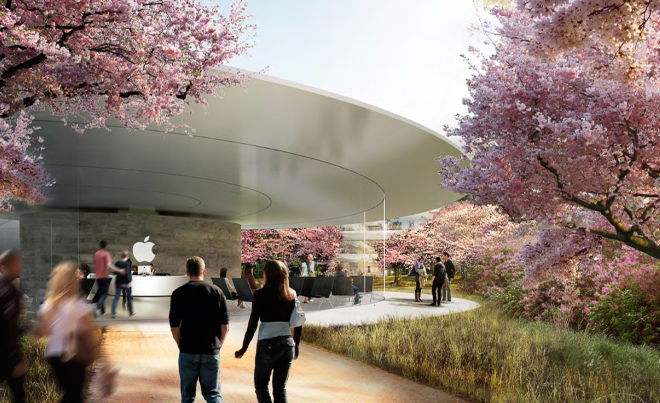 foster + partners is designing the complex, and olin is designing the verdant forest in and around it in partnership with apple's in-house arborist (yes, they have an in-house arborist) david muffly. new renderings surfaced today from the municipal archives in cupertino, showing the true depth and character of both the interior and exterior spaces at the new 2.8 million square-foot apple hq. currently, the site is 20% landscape. 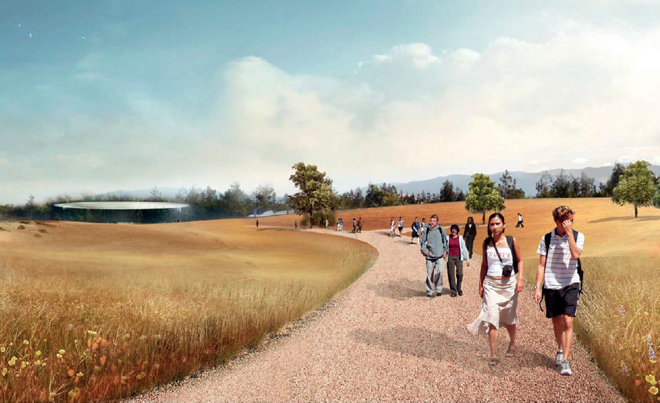 by 2016, the site will be 80% landscape; and it's certainly not garden-variety office park trees and shrubs. 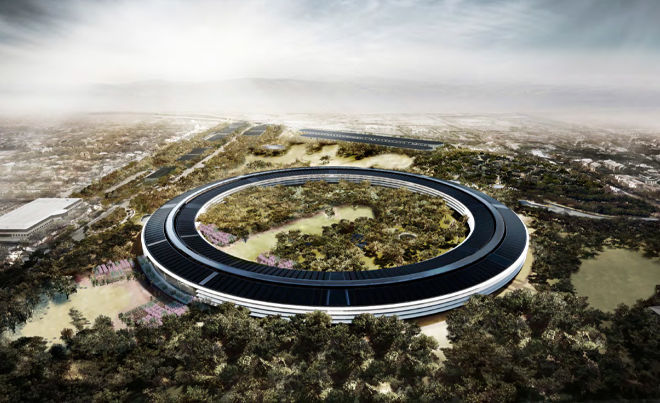 apple describes the future landscape as “an ecologically rich oak savanna reminiscent of the early Santa Clara Valley.” that sounds like a truly incredible place to work. as we work on more and more commercial / office projects, we find that companies and developers are starting to realize the true value of amenities such as open green space or green roof systems; as they provide a place for employees to collaborate and relax while still physically being at work. check out more of these stunning renderings and in-depth news at wired.